From the moment you embark on a giant cruise ship for the first time, you already have a feeling: this might turn out as a bit of an overwhelming experience. 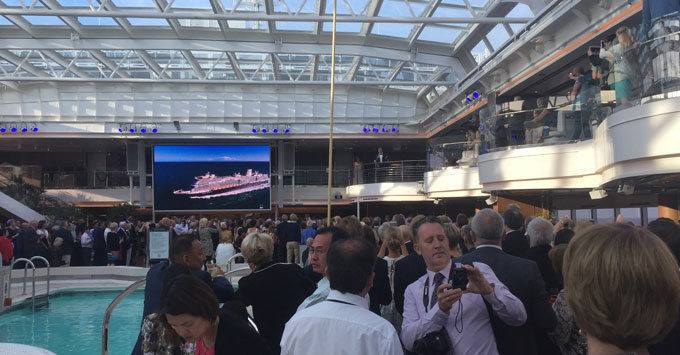 Well, that feeling is correct, as I found out following my first cruise onboard Holland America Line's Koningsdam. Here are 10 things I learnt as a newbie cruiser. 1. Cruising takes "FOMO" to a whole new level. Me to my friend: "What shall we do now?" Friend: "I don’t know. Wait, let me get the 3,000 brochures we got in our stateroom today!" Me: "Good idea. What do they say?" Friend (after 10 minutes going through the piles of paper): "A lot." Me: "OK. Let’s just go for a stroll, and we'll see." 2. Knowing your way on the ship probably means your cruise is almost over. 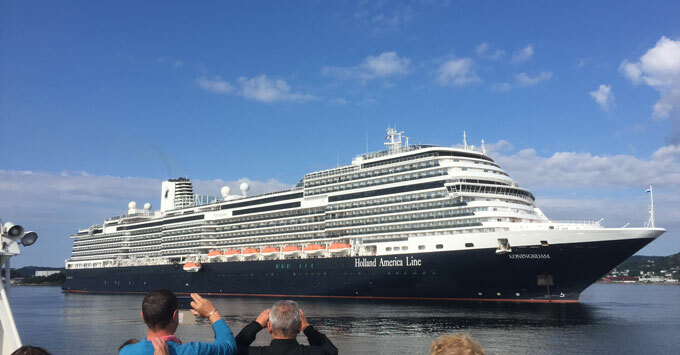 I sailed from Amsterdam to the Norwegian fjords on Koningsdam, the newest member of the Holland America Line fleet. I was in complete awe when I first saw the ship -- a floating luxury village, ten stories high. It also looked like a place I could easily get lost in. No surprises there. But what was a surprise to me is that everybody I met admitted it takes a lot of time to really get to know the ship. On the seventh day, I said to my travelling companion: "Now I know everything." We left the next day. 3. A balcony is a little piece of heaven. 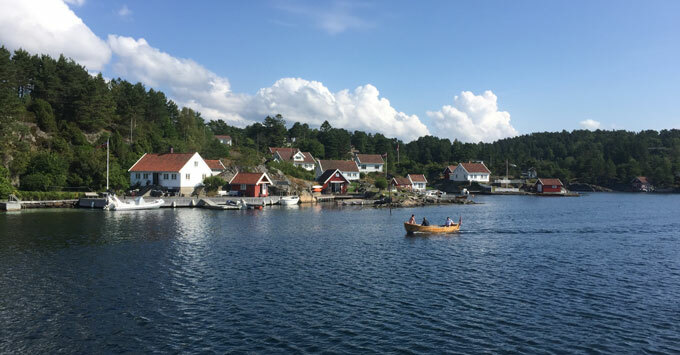 Nothing beats sitting on your balcony with a glass of wine in your hand or a tray full of room service goodies on your lap, watching the magnificent Norwegian fjords go by. I highly recommend splurging on a cabin with a balcony if you have the chance. You're welcome. 4. Those bloody Marys make bloody good memories. I don't know if there is a University of Cocktail Making (editor's note: there is), but if so, the bartenders on the Koningsdam must all have a master’s degree. Cocktails and cruising go hand in hand, and now I see why. They make you dance, they make you laugh, and they make good memories. I still have lucid dreams about their bloody Mary with celery, three olives and a shrimp. "Extra spicy again, madam?" "Yes please, good sir!" (Three times I tried to reproduce those Bloody Marys at home. Three times I failed). 5. You can develop real feelings toward towel animals. Yes, it surprised me too. But wait and see for yourself: the moment you arrive back home and enter your own bedroom, you'll see what I mean. No funny towel swan on your pillow. 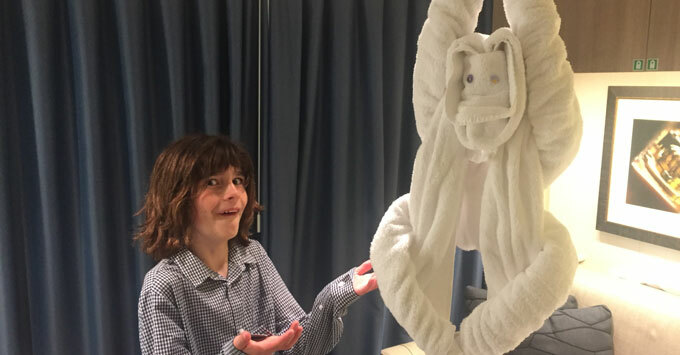 No cheeky towel monkey hanging from the ceiling on a clothes hanger. None of that. Then you start to realize how much you’ve grown attached to these seemingly little gestures to make you feel extra welcome and extra spoiled. 6. The "go on a cruise, gain a stone" thing is not a myth. 7. But the "cruising is just for old people" thing is a myth. When I told my inner circle I was going on a cruise, my hip thirtysomething friends, and my sixtysomething mother shouted: "But that’s for old people!" I was determined to find out if this was true. Yes, of course I saw a lot of elderly people, but not only elderly people -- a lot of families, sometimes three or four generations together, enjoying a group holiday. Cruising is not just for the elderly, it's for every age group. 8. Service with a smile really works. A standing ovation, a deep bow and a big shoutout goes to the absolutely wonderful staff. Where I come from -- Holland -- impeccable service is not as common as it should be, so I was pleasantly overwhelmed by this. It's no secret that crew members work exceptionally hard; they’re always friendly, always smiling and pay attention to every detail. It actually does things to you. All the good mornings, the good evenings, all the smiles I received: they made me feel warm and happy. 9. Once you've cruised, you will cruise again. 10. Be warned: you might end up as a cruise missionary. I am one now. It’s annoying, but I can’t stop singing its praises and spreading the gospel. And so will you. I guarantee it.